Why we love it: This is not your average self tanner! Made with Eco-Certified DHA from Sugar Beets, this self-tanning formula gives a fresh, sun-kissed glow without the use of carcinogenic chemicals. Natural vanilla bean and coconut lends a delicious tropical scent while Rosehip Oil, Mango Seed Butter, Shea Butter and Coconut oil impart rich hydration to the skin. 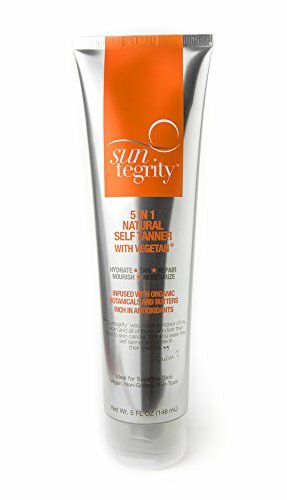 This self-tanner can easily be re-applied and layered for a deeper, darker tan. Vegan. Cruelty free. Non toxic. Leaping Bunny and PETA certified.